Has seen me concentrating on this in my spare time, perfect for a cold winter's evening under a blanket. 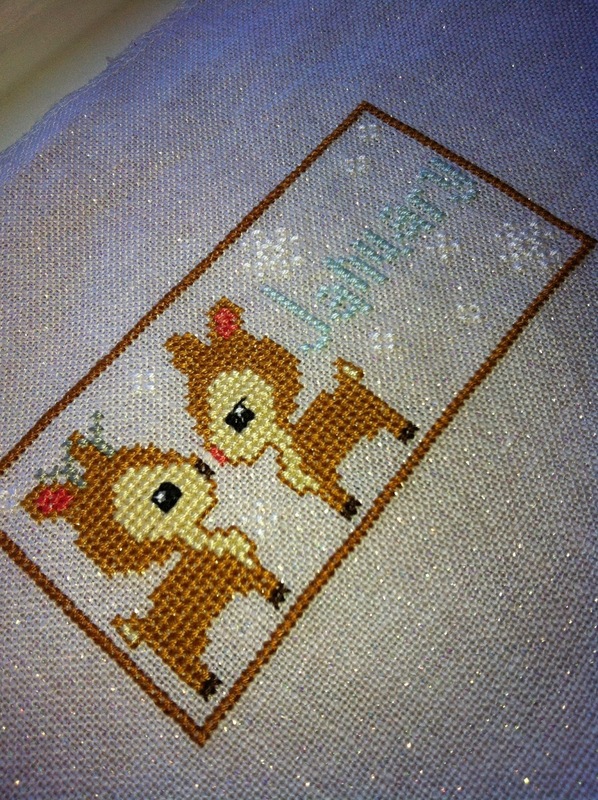 This is last years stitch along from the frosted pumpkin stitchery. You know my love of woodland animals…well this has just ticked all the boxes for me. They have a once upon a time stitch along for this year…it's cute, really cute but one thing at a time for me. What's inspiring you this wet and windy January ?